Adapted from the Nutrition and You! blog on Boston.com. Last year, we couldn’t talk enough about kale. We made kale chips, kale smoothies, and even wore T-shirts telling us to eat more of it. Well, that was last year and now is now. Kale will be playing a second fiddle to cauliflower this year, according to food experts. 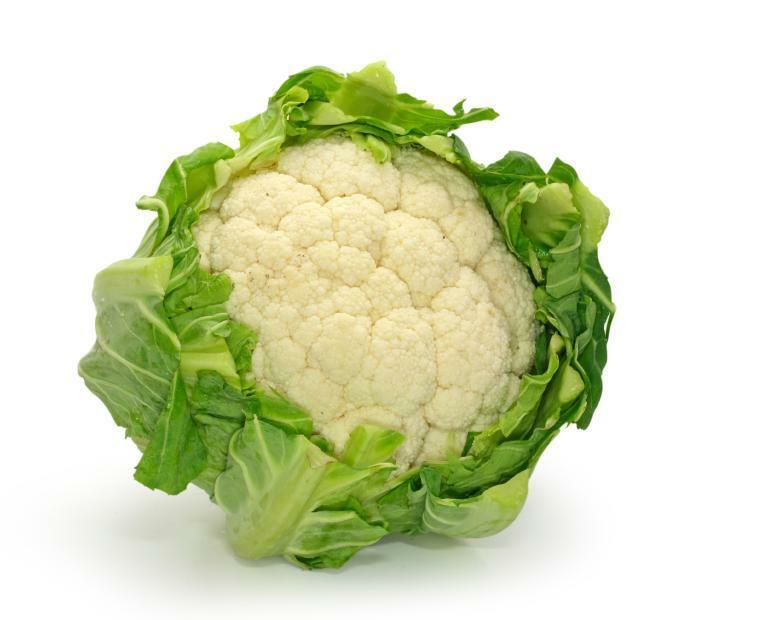 Cauliflower is part of the cruciferous family of vegetables that includes broccoli, Brussels sprouts, and bok choy. Cruciferous vegetables contain glucosinolates, which give them that very pungent aroma when you cook them. Aroma aside, when you cook, chew, and digest cruciferous vegetables, the glucosinolates are broken down to form active compounds such as indoles, nitriles, thiocyanates, and isothiocyanates, which may have anticancer properties, according to the National Cancer Institute. Research suggests that these compounds may help fight cancer by protecting your cells from DNA damage, inactivating cancer-promoting compounds, stopping tumors from forming in the blood vessels, and also by having anti-inflammatory effects in your body. How can you enjoy cauliflower? Chefs this year will be steaming, stir-frying, mashing, roasting, and even thickening soups with cauliflower. Here are five preparations that deliciously showcase cauliflower’s versatility. Chinatown Vegetable Melody: Stir-fry cauliflower along with broccoli, snow peas, red peppers, and carrots for a colorful side dish. Add some steamed shrimp and brown rice and you’ll have the perfect cancer-fighting meal. Cauliflower and Fennel with Dijon-Cider Vinaigrette: Combine cauliflower with fennel for a perfect dinner side or add leftovers to your lunchtime salad. Cauliflower Steaks with Chimichurri: With cauliflower, it’s all in the slicing. By cutting the cauliflower into thick slabs, you can roast them so that the end product tastes “meaty.” Add some fresh herbs and a little jalapeno pepper for a kick. Roasted Cauliflower Pasta: Roast the cauliflower and toss it with pasta for a quick, satisfying, and inexpensive meal. Use whole wheat pasta to increase the whole grains and fiber in your dinner. Creamy Cauliflower Soup: The beauty of cauliflower is that when it is pureed, it will thicken a soup and fool your taste buds into thinking that each spoonful is too rich to be true. Add a salad for a light but filling dinner. Read more of this blog at www.boston.com/nutritionandyou.